Refer a Young Patient — . 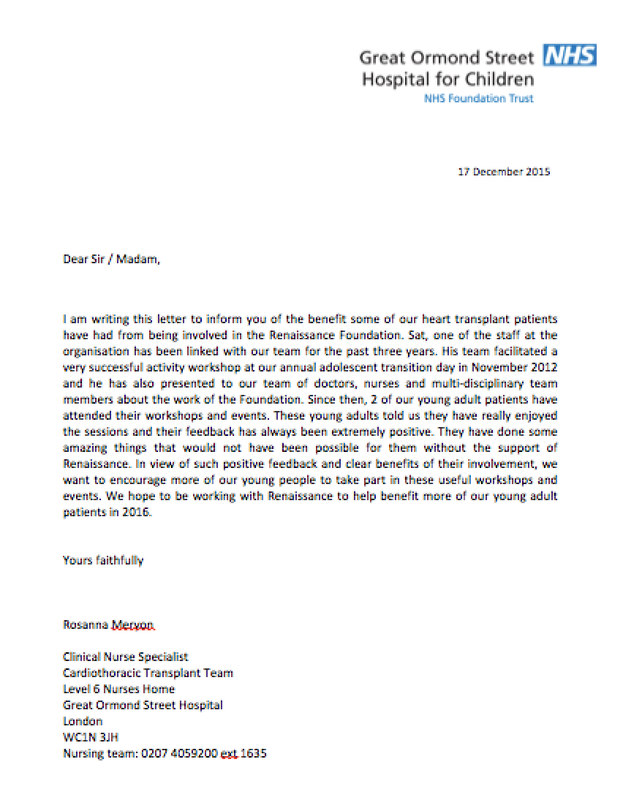 Having worked in partnership with London's major hospitals over the past decades we have developed a specialism in being able to provide additional support for young patients who are transitioning from paediatric hospital services to adult hospital services. 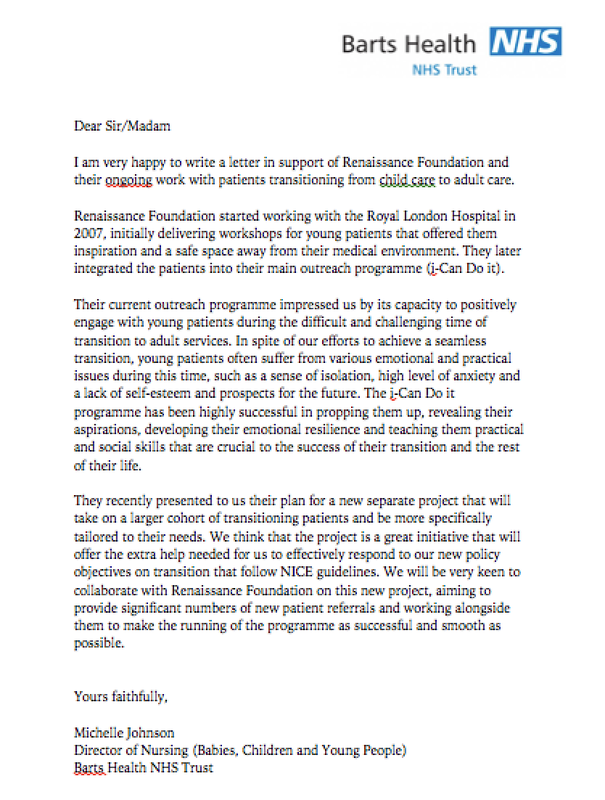 This is often a highly challenging time for the young patients and a report from the Care Quality commission highlights the need for services like the one Renaissance Foundation provides. We do not charge for our services and like to work with nurses consultants and medical professional to receive referrals and work with teams to help ensure the young person makes the best transition they can. Our involvement has been known to increase medical compliance and has also been praised as a positive way to decrease unnecessary hospital admissions from young patients. Would you like us to deliver our Award winning i-Can Do It Personal development workshop at your hospital ward or with your hospital youth forum. Contact us to see how we could get started.